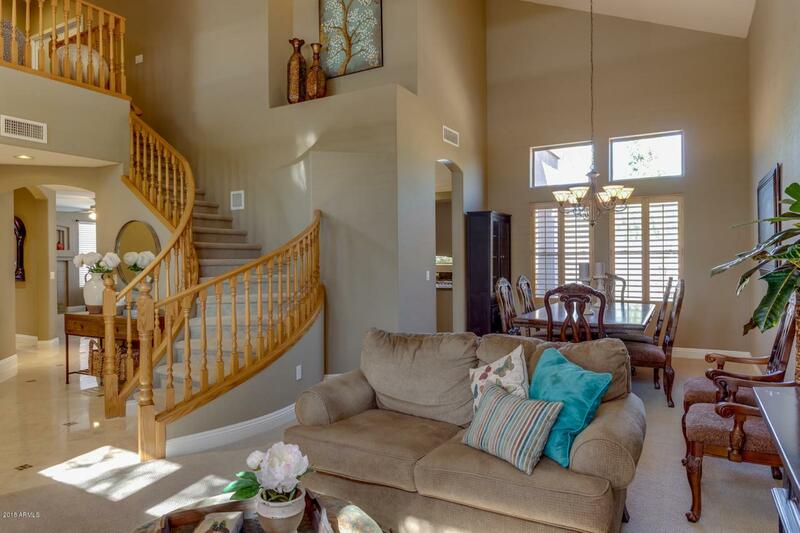 Absolutely stunning upgraded home! Bright open floor plan with the ultimate resort backyard oasis! 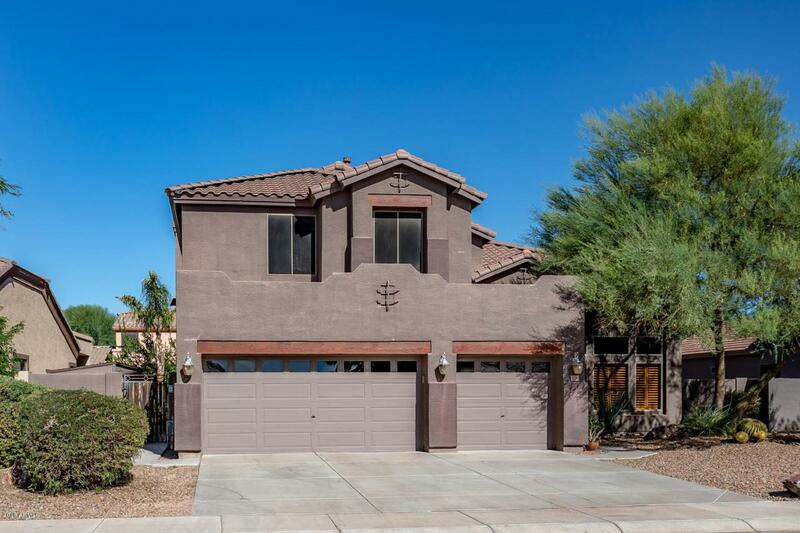 Gourmet kitchen features stainless appliances, refinished cabinets & slab granite. Custom paint & flooring throughout, 5'' baseboards, crown molding, travertine, plantations shutters. Large master with en-suite; separate soaking tub, walk in shower, dual sinks & huge walk in closet. Large bonus room/loft. 1st floor bedroom and full bathroom. Laundry w/sink & cabinets. 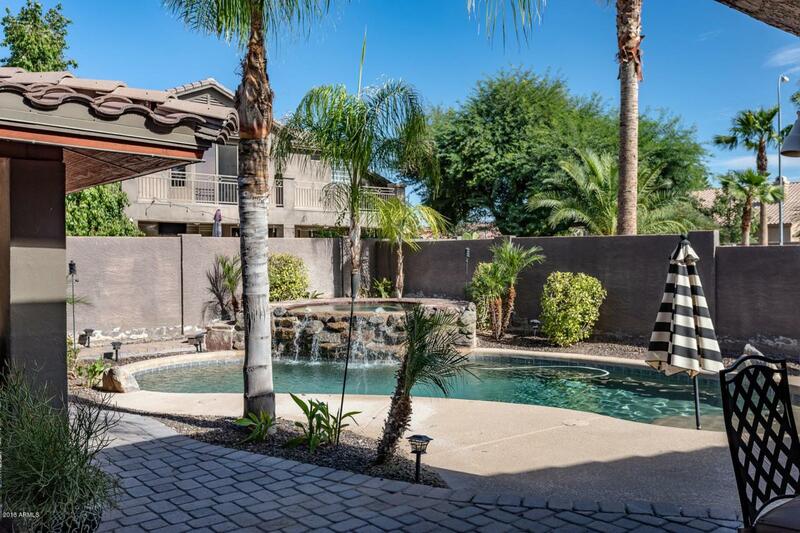 back door leads to your own private resort and entertainers dream! 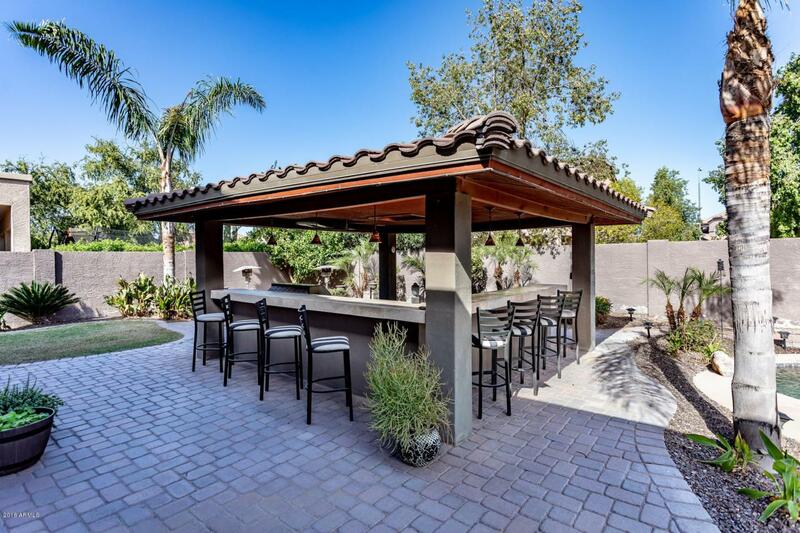 Pavers & covered patio lead to the sparkling pool & raised spa with custom waterfall. Unbelievable BBQ Ramada with built in bar, fridges, sink, grill station, drink station, storage & TV. Relax in the sunken fire-pit lounge. Side storage shed. Too much to list! !